Kids are always excited on their birthdays as they love to be showered with gifts in the presence of friends, family and well-wishers. But it’s not just the gifts but also the food that gets them excited. Here are a few delicious yet easy-to-make birthday party foods that would have your kid and the friends smacking their lips. 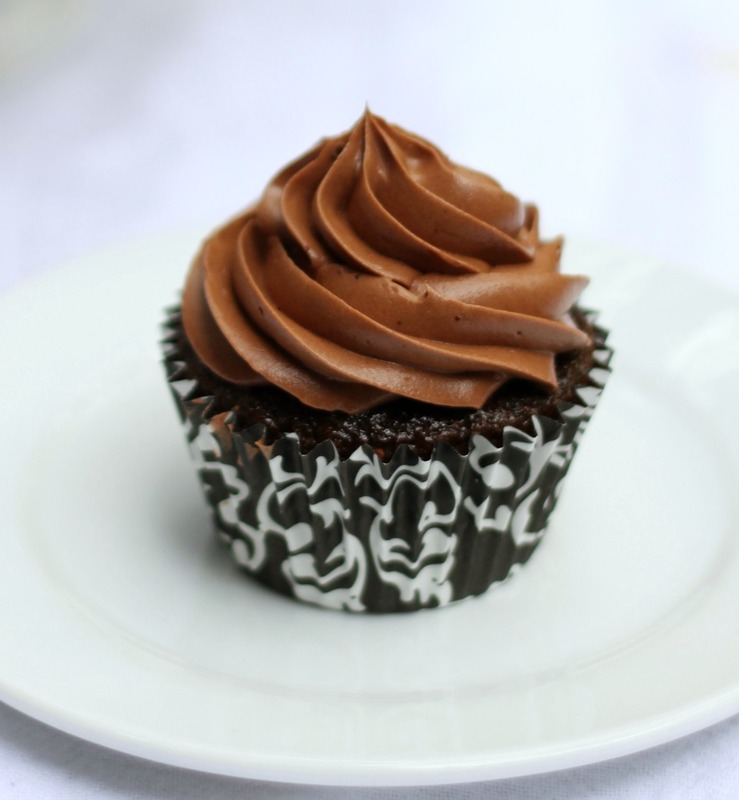 Chocolate cupcakes can be prepared within 20 minutes, which makes them the perfect easy birthday party food when in a rush. The children love chocolate so it’s always a hit amongst them too. 1) The oven should be preheated to around 160°C in a fan-forced setting and around 180°C in a conventional setting. 2) Mix together vanilla, sugar and butter through a mixer till they become creamy. Slowly add the eggs and continue to mix. 3) Add cocoa, bicarbonate soda,milk and flour to the creamy mixture. Continue to beat till they combine. 4) Use a spoon to fill each case in the cupcake tins one-third full with the mixture and then put it in the oven for 20 minutes. 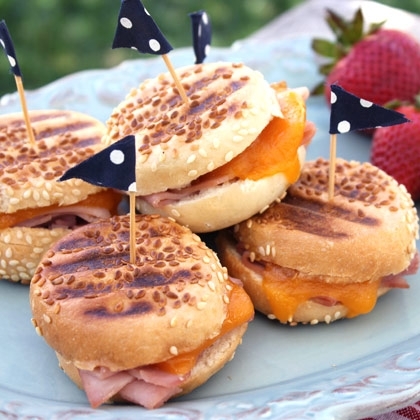 Mini Paninis can be easily cooked on slider buns and they are a hit amongst children as they can be made according to their tastes. 1) Set the Panini press at medium heat but first use cooking spray over it. In case you don’t have one, you will have to cook the sandwiches over the griddle’s grill side. Make sure to flatten each side with a spatula. 2) Place a couple of ham slices on the slider buns’ bottom half and then add a toping consisting of one apple and one cheese slice. Add the mustard over the top of the bun if the kids like it. 3) Put the top bun over the bottom one and then place them all in the Panini machine. Try to place four in each batch. Let the sandwiches be cooked until the cheese starts to melt, which usually takes 3-4 minutes. Fruit skewer is a lovely birthday dish for children as the dish matches the specialty of the occasion. 1) Make the cream cheese fluffy by beating it and then add the vanilla extract, zest of lemon and marshmallow fluff. Beat the mixture to the point that it gets smooth. 2) If you think that the mixture isn’t soft enough for dipping the fruits then try adding some milk for thinning the mixture. Put it in the refrigerator before serving. 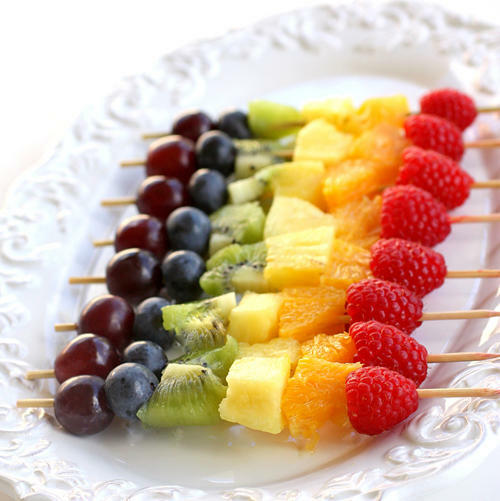 3) Add the fruit over the wooden skewers and serve it with dipping sauce you prepared. 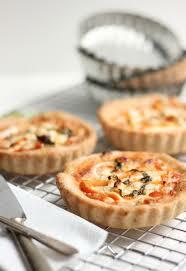 Pita pizzas or tiny pizzas are a great birthday snack as they are extremely tasty and are very easy to prepare. 1) Take a 2 ½ inch diameter cutter to slice through the center of each pita. Take the edges off using a knife and take the pita apart so as to have two different halves. 2) Have the pitas placed on a baking sheet with bread’s edges in an upward curve. 3) Add atopping on half of the pitas consisting of a tsp of pizza or marinara sauce, a tsp of grated mozzarella and a pepperoni slice. Add a different topping on the other pitas consisting of a tsp of grated mozzarella, a tsp of pesto sauce and a tomato slice. 4) Set the oven at 400 degrees. 5) Put the pitas in the oven and bake them till you see that the cheese is melting, which takes around 10 minutes. Use the basil leaves for garnishing before serving. 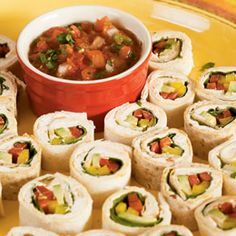 Mexican sushi proves to be a winning appetizer with the dish offering a truly impressive treat for one and all present at the party. 1) Take a bowl and add the cream cheese along with the chili powder, salt and salsa in it. Take another bowl and spray some lime juice over avocado to avoid browning. 2) Cut down the size of all the tortillas to create 6-½-inch squares out of them. 3) Pour three tsps from the cream cheese bowl over the tortilla and then add a couple of rows of spinach around the tortilla’s center. Afterwards, use the combination of yellow and red pepper and avocado to top each of the spinach rows. 4) Roll up the tortilla, use a plastic wrap for wrapping them and then refrigerate the rolls for a maximum of six hours and a minimum of one hour. 5) Further slice the tortilla rolls into half-inched pieces before serving. Serve the remaining salsa in a bowl as dipping sauce.